I used to be a criminal, but then I took a bullet to the knee. This could end up being quite the controversial incident – it’s like something from a movie. These officers were trying to de-escalate a felony situation with a criminal armed with a deadly weapon, a screwdriver. After multiple attempts to de-escalate the situation verbally and with tasers, Enoch City Police Cpl. Jeremy Dunn took intentional shots at the suspect’s knee to incapacitate the threat instead of going for center mass. What’s even crazier is that the officer has actually done this once before. Read the news story with the raw footage. When the suspect turned and mate a furtive gesture towards Cpl. Jeremy Dunn, he was very likely justified in taking a shot right then. But he showed restraint and didn’t fire and continued to end the situation without taking a shot. That is some impressive restraint on the part of the officer. 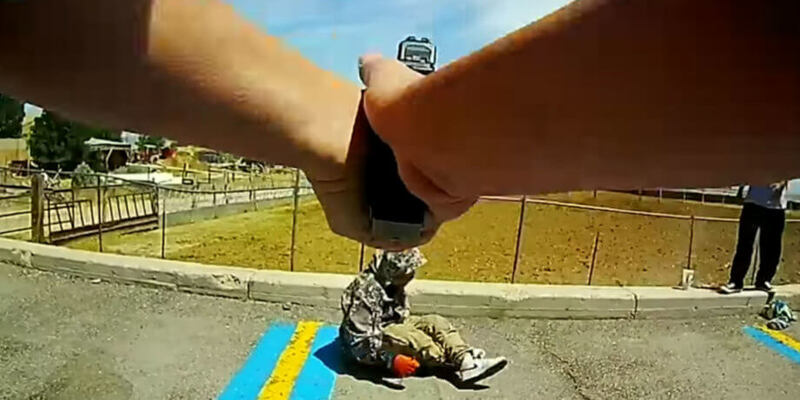 The officer was found to not be justified in the shooting, but won’t be facing charges. It’s quite the tricky scenario to armchair quarterback. 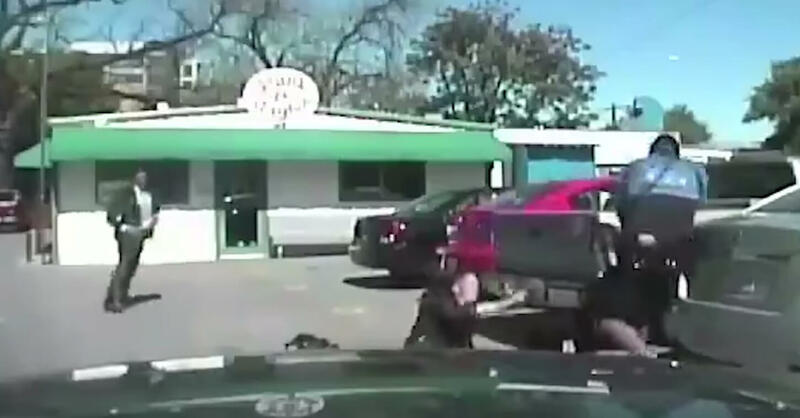 If the officer had waited until he was justified, such as the suspect lunging at Cpl. Jeremy Dunn, multiple officers would have opened up and the suspect likely wouldn’t have survived. But Cpl. Jeremy Dunn’s actions very likely saved this woman’s life. De-escalation for police officers and civilian self defenders alike is critical. Any scenario you can come out on top without having to fire a firearm and no one getting injured is a win. Set your ego aside and de-escalate the situation when possible. For civilians, simply leaving is often the best scenario. Sometimes you can’t safely leave due to the immediacy and aggressive nature of an attacker or because you have to defend a loved one, but often times running away is completely viable and encouraged. Law enforcement have different duties, and they can’t simply leave in the same way civilians can. Could you take this difficult of a shot? Let’s set aside the discussion as to whether the officer should or shouldn’t have taken the shot. That’s a very complex discussion entirely dependent on local laws and is probably best left to the lawyers. So let’s talk about handgun proficiency and honestly answer a few questions to yourself. 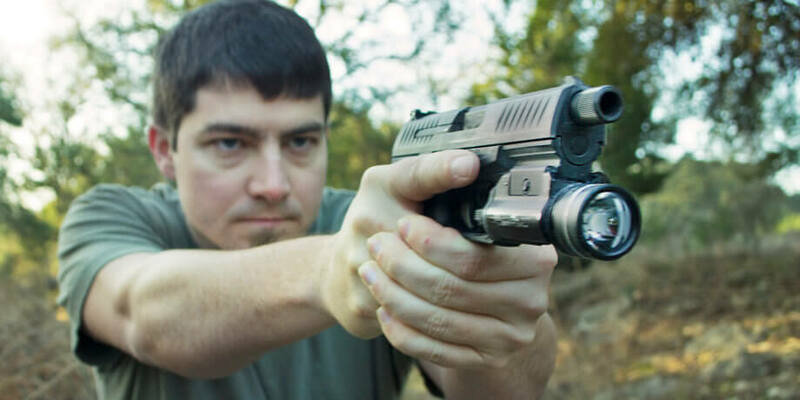 Can you shoot a small target with a handgun? 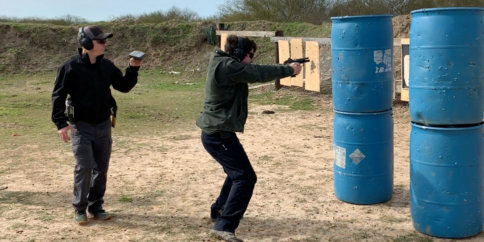 Can you shoot a small target with a handgun consistently? Can you consistently shoot a small target very quickly? Can you do all of that under extreme stress? 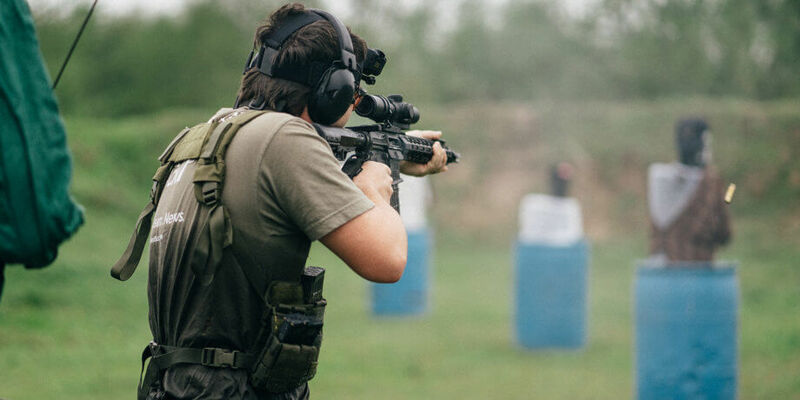 Lots of defensive minded shooters and instructors like to talk about “three shots within three seconds at three yards” citing statistics about most self defense shootings. While it is true that many, possibly even most, self defense shootings fall within those parameters, not all of them do. We’re interested in training ourselves to be the best we can be, so why would we hold ourselves to a very low standard? It isn’t hard to shoot a target three time at three yards in three seconds – which is why the data falls within those numbers. The data is that way because it is compiled based on average shooter skill. We know most shooters don’t train as much as they should, so that self defense shooting data is skewed by low skill shooters. So why do we want to hold ourselves to a standard for a low level of skill? Why shouldn’t I train to be able to put four shots on target within two seconds at seven yards? It’s actually a very easy standard to achieve. 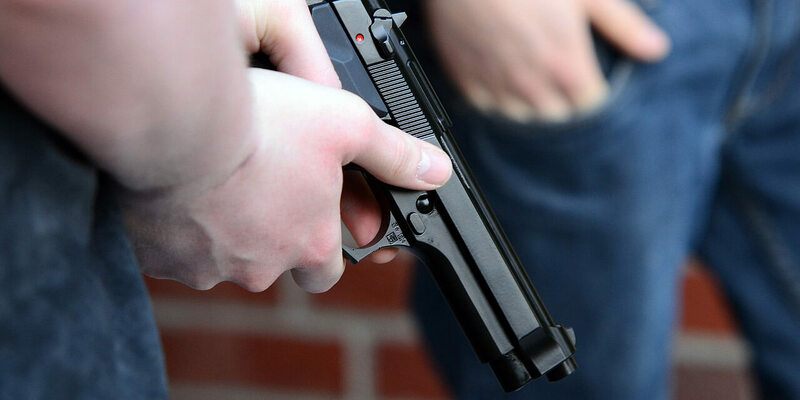 The greater proficiency we have with our tools, in this case a handgun, the better we perform under stress, the better we perform under more difficult circumstances, and the more options we have to end a threat. Options and greater proficiency are always good when we’re talking about saving our own life. While it is arguable that self defenders shouldn’t risk rendering first aid and should instead retreat to safety, knowing how to render first aid is a valuable skill. Statistically, you’re more likely to need first aid skills than you are to need to shoot your handgun. Please don’t neglect your first aid skills and take some sort of first aid class every few years. Could you take this difficult of a shot? Do you think the officer was justified?